Makato Shinkai’s Your name is one of the most successful anime featured film grossing over $358 million worldwide. The film opened in Japanese theaters in Summer 2016 and after 3 years of long wait his new anime project Tenki no Ko: Weathering With You will be in Japanese theaters starting from July, 19th following the and later global release in North America, Europe, Asia, and South America. From the Directors of ‘YOUR NAME’. 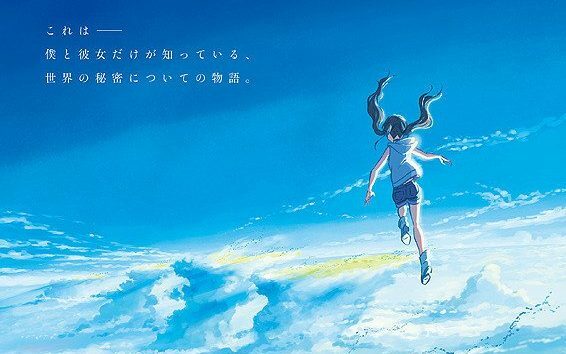 As the movie approaches towards its scheduled release the official site started steaming its first promo teaser featuring the opening theme “Ai ni Dekiru koto wa Mada Arukai” performed by RADWIMPS, the same group which performed Your Name’s opening theme “Zenzenzense” which was one the most- selling song that year. The film’s story centers around the high school student Hodaka who leaves his home on an isolated island and moves to Tokyo, but he immediately becomes broke. He lives his days in isolation, but finally finds a job as a writer for a shady occult magazine. After he starts his job, the weather has been rainy day after day. In a corner of the crowded and busy city, Hodaka meets a young woman named Hina. Due to certain circumstances, Hina and her younger brother live together but have a cheerful and sturdy life. Hina also has a certain power: the power to stop the rain and clear the sky.